As executive director of Drive Around the World, Baggarly has made driving his mission. In 1999, he led the LATITUDE Expedition, where six people in 1960s Land Rover Dormobiles drove west for 80 days, across 16,000 miles, from Beijing, China to San Francisco, Calif. (with help from boats when they encountered pesky things like oceans). In 2003, Baggarly led the LONGITUDE Expedition, a 16-month, 44,000-mile drive south from California to the tip of South America, then back up through Australia, Russia, and Alaska, ending back in California. This time the mission raised funds and awareness to find a cure for Parkinson’s disease. And in November 2015, he’ll be at it again. 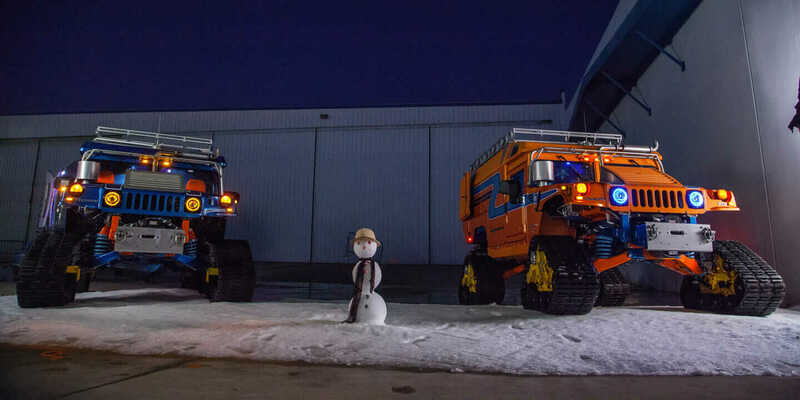 This time, the expedition is called ZERO SOUTH, a 1,200-mile expedition to the South Pole in two Hummers converted from their gas-guzzling stereotype into hybrid-electric vehicles so that the mission uses zero fossil fuels. “ZERO SOUTH is the greatest incarnation of our model that we’ve ever undertaken,” Baggarly says. 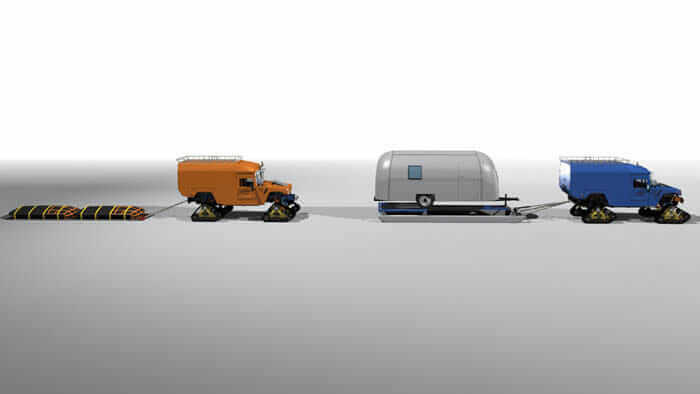 Rendering of ZERO SOUTH vehicles. Courtesy Drive Around the World. Baggarly says the Hummer elicits very polarized reactions from people, without much middle ground, and that makes them a great choice for the project. But with that “joke,” the person included a link to a press release from the National Science Foundation announcing a traverse route to the South Pole. 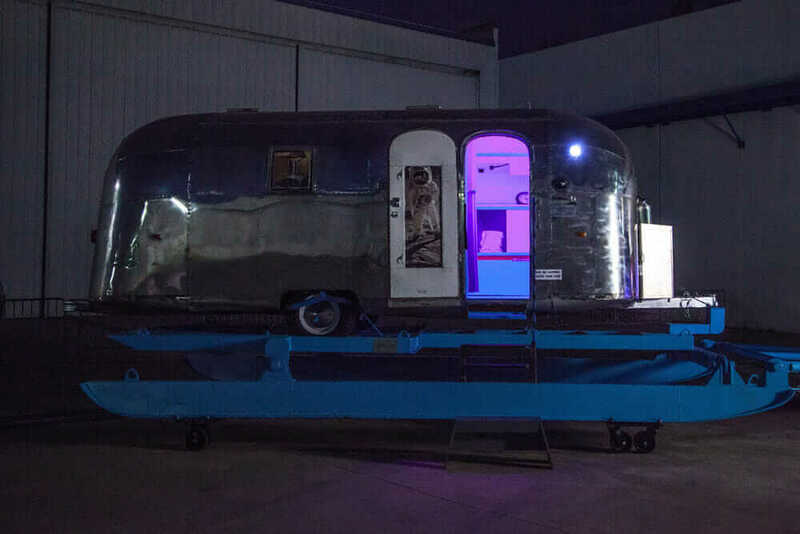 Airstream sled will be towed by one of the Hummers. Courtesy Drive Around the World. That joke spawned the work that has consumed Baggarly’s life for the past five years, which will culminate in the drive to the South Pole, as well as an eight-episode TV series documenting the journey, with the environmental angle playing a big role in the mission. Because of the ice, he knew he needed something bigger, wider, and higher. Inside the garage. Courtesy Drive Around the World. Hollywood legend James Cameron already had his own Humvee with tracks, so he sent Baggarly a three-page technical email on how to convert the vehicles. Volunteers—including Arnold Schwarzenegger’s Hummer mechanic and Jay Leno’s mechanic—pitched in, as well as retired engineers from General Motors electric vehicle program and military contractors who once led their own program to create electric Humvees. And, since this is for public awareness (and being filmed for a TV show), even the introduction of the Hummer to the garage was a celebrity affair. 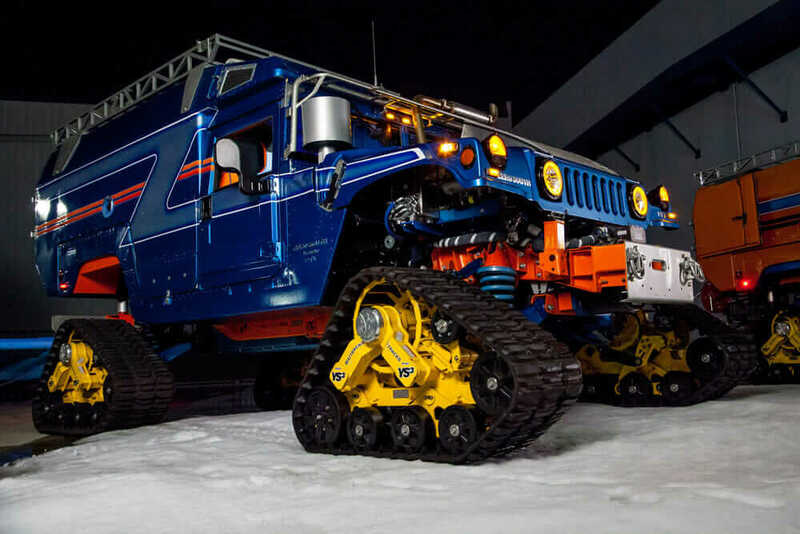 The vehicle itself is completely retooled for the mission, fusing the Hummer bodies onto machinery rated for the freezing conditions, ice paths, and arctic terrains. All of this technology—much of which had to be created custom for this mission—is open source. 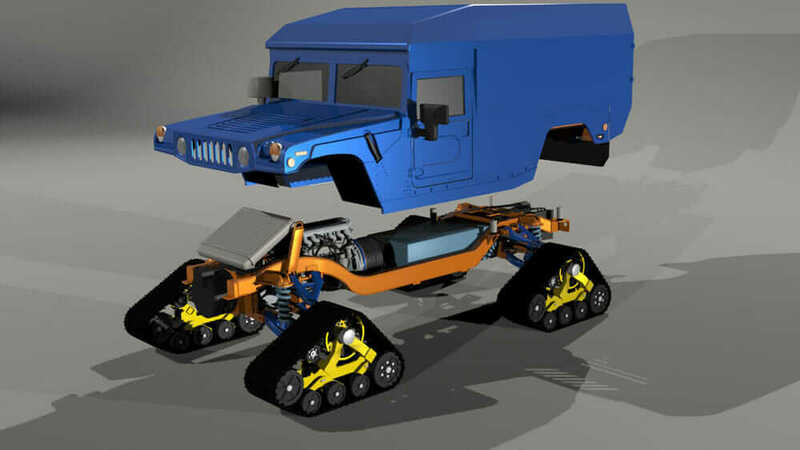 Rendering of ZERO SOUTH Hummer. Courtesy Drive Around the World. The team used Autodesk software—including AutoCAD, 3ds Max, and Inventor—to manage the project of converting and retooling the Hummers. Knowles and Baggarly have been friends for nearly 30 years, and Knowles has been an advisor to Drive Around the World since its inception. “At Autodesk, we are very interested in not just caring about things that are being done, especially with regard to our technology, but really participating,” Knowles says. “In the past 10 years or so in Silicon Valley, there has been a real sense of people who want to do good and make a positive impact. Now, it’s even to the point where a show like Silicon Valley makes fun of it. 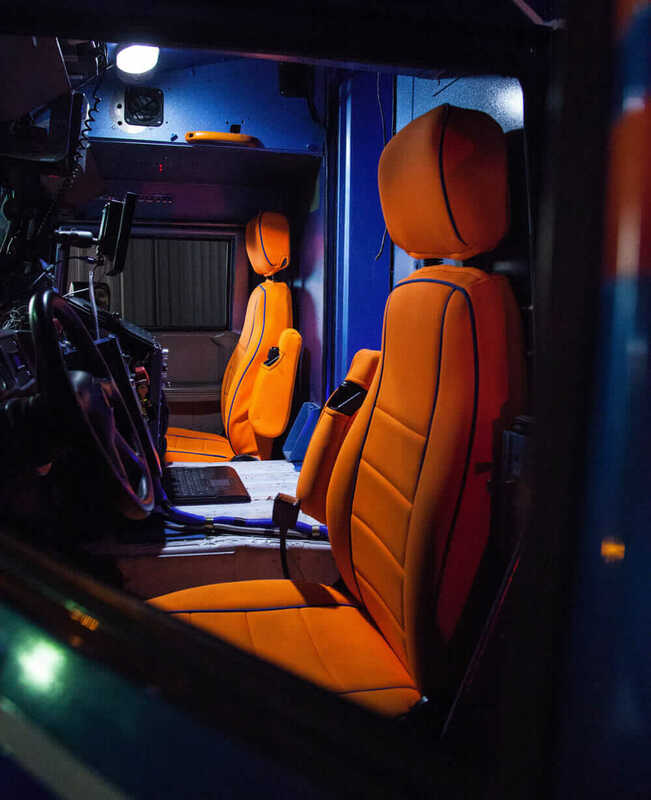 Inside the cab of a ZERO SOUTH Hummer. Courtesy Drive Around the World. Despite the future TV show, the potential for it to become an ongoing series, and the awareness it will raise, Baggarly still has the minor detail of driving to the South Pole, although he is as prepared as he can possibly be. “I haven’t been to Antarctica before, but we know with confidence that the drive from the edge to the Pole will take six days,” he says. “We know the distance. We know the route. We also have film objectives on the way, and we know vehicle problems and weather are the things most likely to slow us down. But because he’s also filming a TV show, in addition to getting to the South Pole without using any fossil fuels, he’s covered either way. 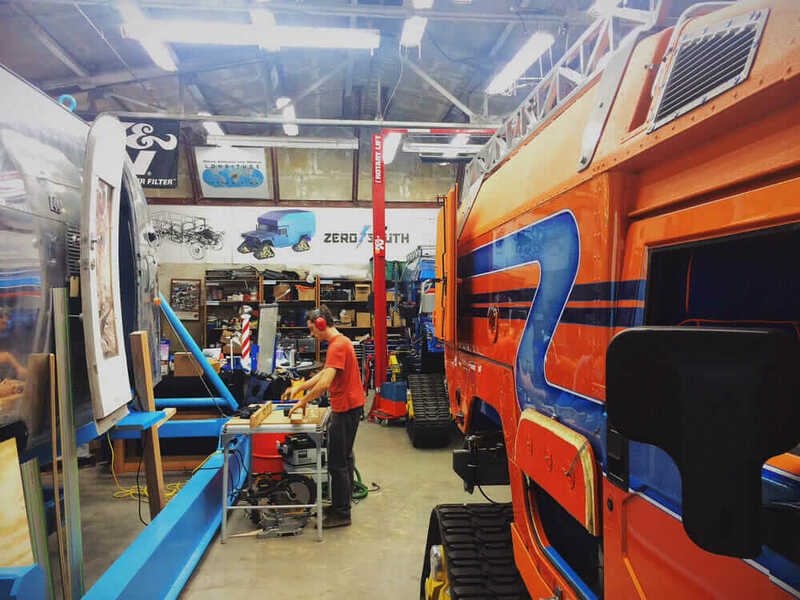 Right now, ZERO SOUTH is welcoming more partners to put the final touches on the vehicles and finish staging for the December expedition.